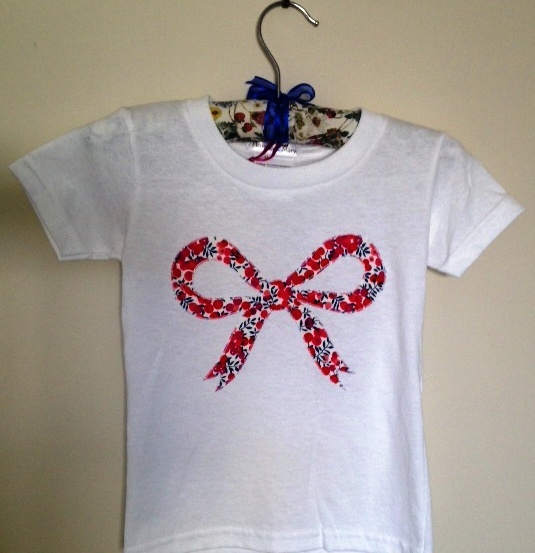 100% cotton tee. Sizes 2 -6. 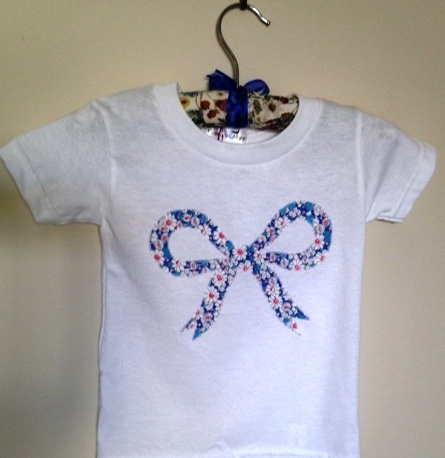 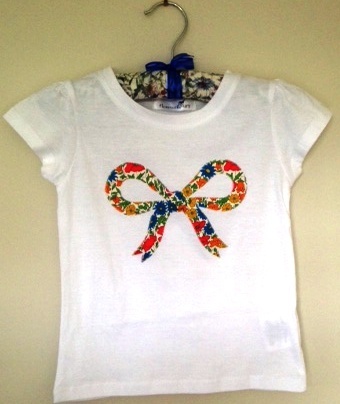 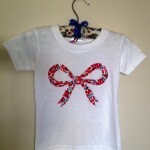 Appliqued Liberty bow design. 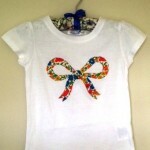 Why not match this with the complenentary Liberty bow skirt for a complete spring and summer outfit. Choose from blue [Alice with Tess and Rosa border], pink/red [Miall with Wiltshire border] or brights [Poppy and Daisy with Bellis border].